New for June 2017: This page will introduce you to a design tool that was contributed by Ronny. 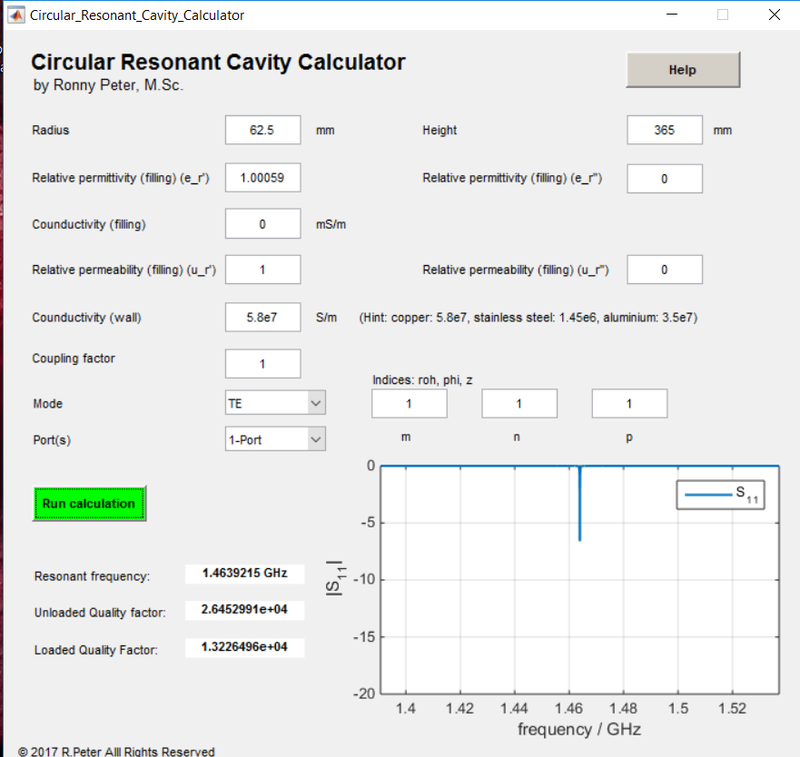 It is a MATLab GUI that calculates resonant frequencies based on dimensions and modes (111, 011, etc) that you enter. The file is zipped and is almost 10MB, you can download it here. It takes a while to install. We tried it but have no way to verify the results, perhaps a reader would be kind enough to investigate its accuracy. Also, we don't have the math behind cylindrical cavities ready to post, but we refer you to Pozar's Microwave Engineering, Chapter 7.4 and we hope you like Bessel functions! Below is a screen shot on a computer we installed it on. Click here to go to our page on frequency meters.